January 11 to 13, 2019. 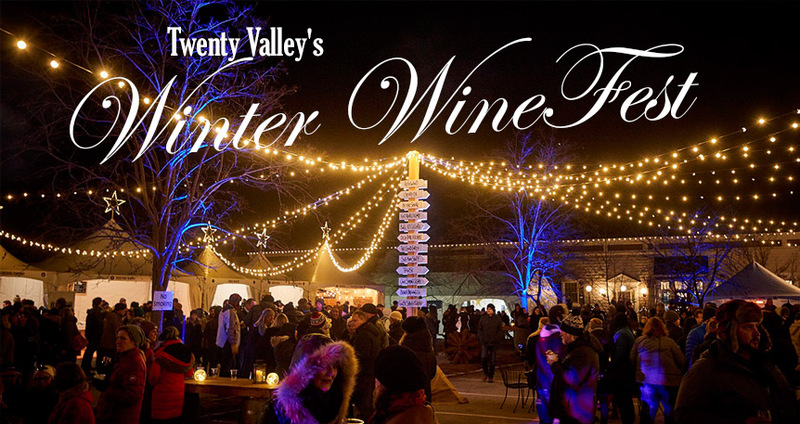 Twenty Valley's Winter WineFest brings together Niagara's top winemakers, chefs and premium VQA wines. Offering great food, premium wines, sparkling and Icewine served outdoors on the streets of pretty little Jordan Village. Sample delicious wines from more than 20 of Twenty Valley's premium wineries. Partcipate and enjoy this Winter WineFest, in Niagara's Twenty Valley, Ontario's largest wine region. FRIDAY January 11 2019. The Winter WineFest 2019 starts. 4:00PM - Icewine Puck Shoot Out! Sign up at 3:00PM and tell the tale, frozen pucks made from freshly pressed Icewine grapes..